Get the Klipsch Signature Horn-Loaded performance at an incredible value, the DS-180CDT features a 8” Polypropylene woofer and a 1” Pivot Silk Dome tweeter mated to a round Tractrix horn for dynamic acoustic performance. Utilizing Klipsch Patent-Pending SkyHook Tool-Free Installation System, your install time is reduced by 75%. Using the same Tractrix horn technology and design principles of our premium architectural and box speaker lines, the all new Klipsch Designer series provides true Klipsch power and performance. With an 8” Polypropylene woofer and a 1” Silk Dome tweeter mated to a round Tractrix horn, the DS-180CDT brings dynamic, powerful, detailed Klipsch sound to your distributed audio, home theater, or 2-channel system. Get crystal clear sound with minimal effort through Klipsch signature horn-loaded speakers. We've been perfecting the art of horn-loaded audio since 1946. 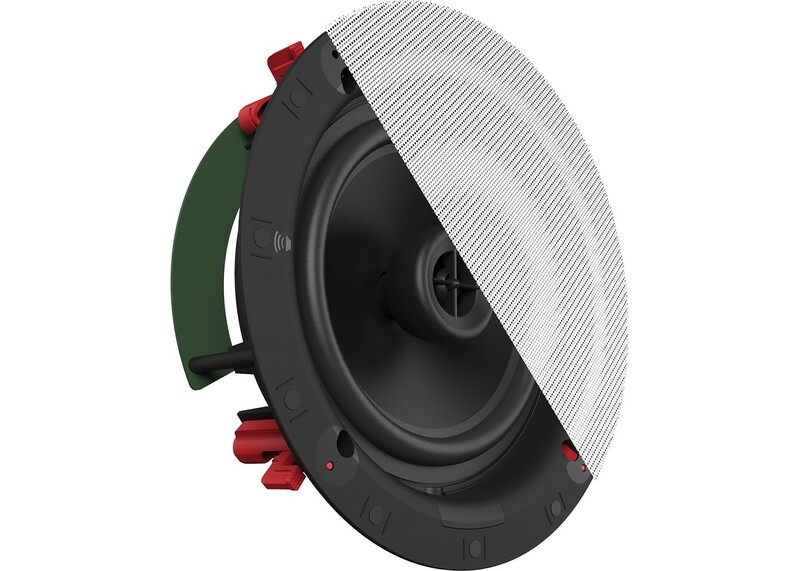 CDT technology allows for the tweeter and the woofer to be aimed up to 15°, helping to ensure on-axis frequency response at almost any listening position.